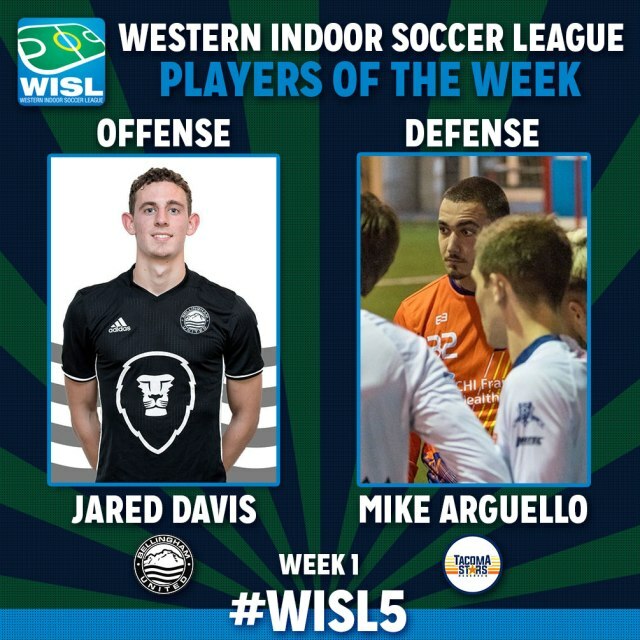 The Western Indoor Soccer League has named Bellingham United’s Jared Davis Offensive Player of the Week and Tacoma Stars Reserves goalkeeper Mike Arguello Defensive Player of the Week for week one of the 2018-2019 season. Jared Davis, a Mill Creek native and graduate of Henry M. Jackson High School, recorded a hat trick and an assist in Bellingham United’s 9-4 season opener win over the Snohomish Skyhawks. A member of the 2017-2018 WISL Championship team, the Spokane Community College product saw the team unfurl their third championship banner and then went out and matched his goal total from that season.